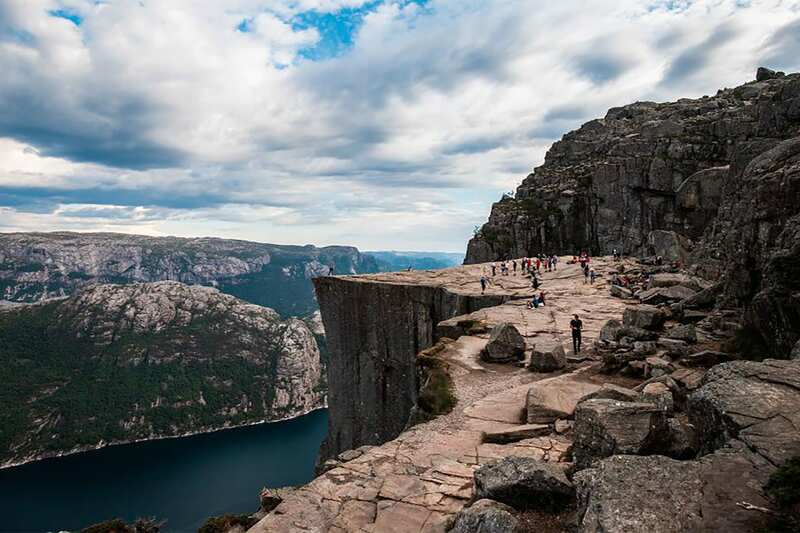 Norway has become famous for its iconic and dramatic viewpoints, and this adventure combines the most famous hiking destinations in the country: Trolltunga, Preikestolen, and Kjerag. 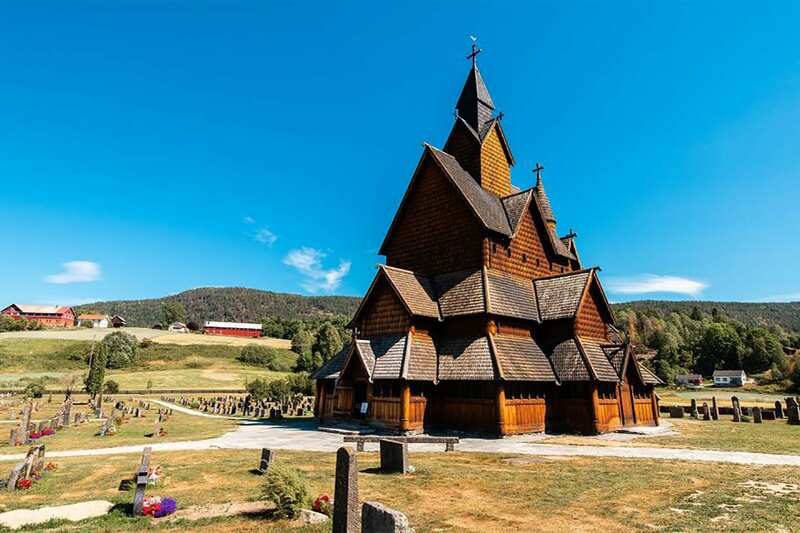 Our group will be expertly guided in these three indescribable hikes and their viewpoints, along with three additional days to experience Norway's more hidden gems. For this reason, we truly believe this tour combines the best of both worlds, and has something for every adventurer seeking to explore and discover of this incredible country. This morning we will meet our guide outside of the Oslo Opera House at 10:00 am. 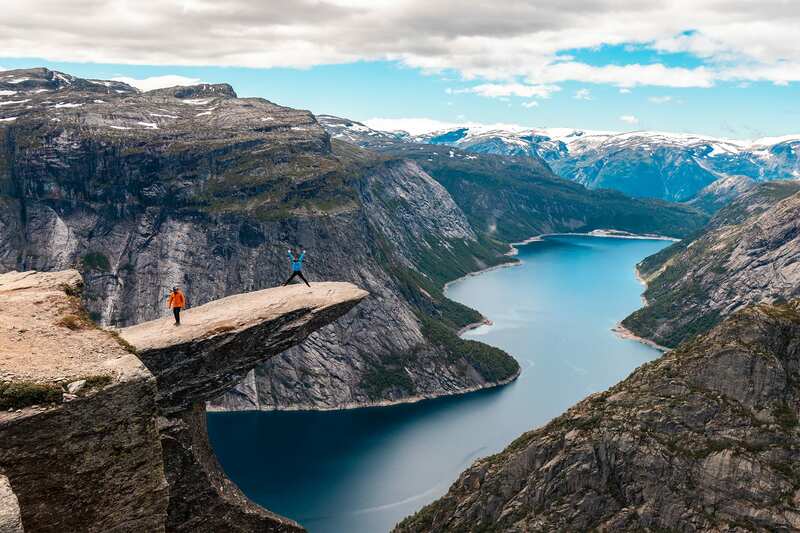 Today is our chance to visit the world famous Trolltunga! Translating to "trolls tongue", Trolltunga is a spectacular mountain formation situated 1,100 meters above sea level, and 700 meters above the lake of Ringedal. 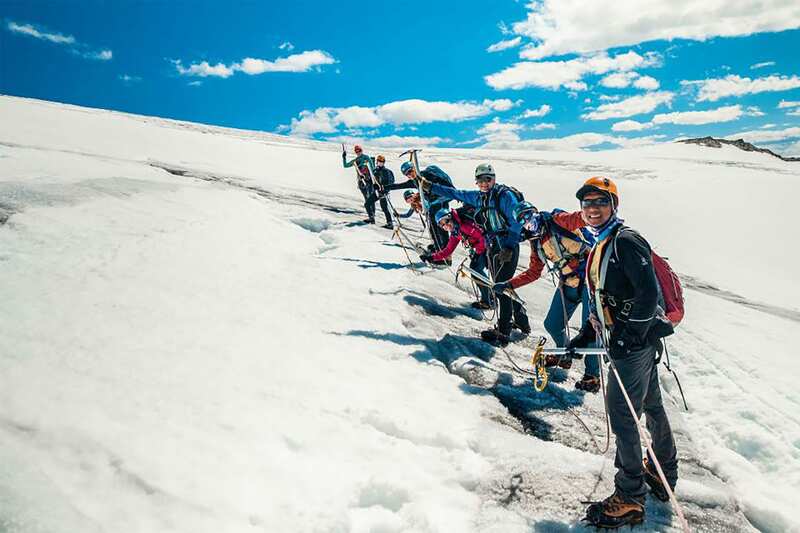 This morning we will head from Rosendal to Folgefonna, Norway's third biggest Glacier, and enjoy a day hike of about 4 to 6 hours on the glacier itself! 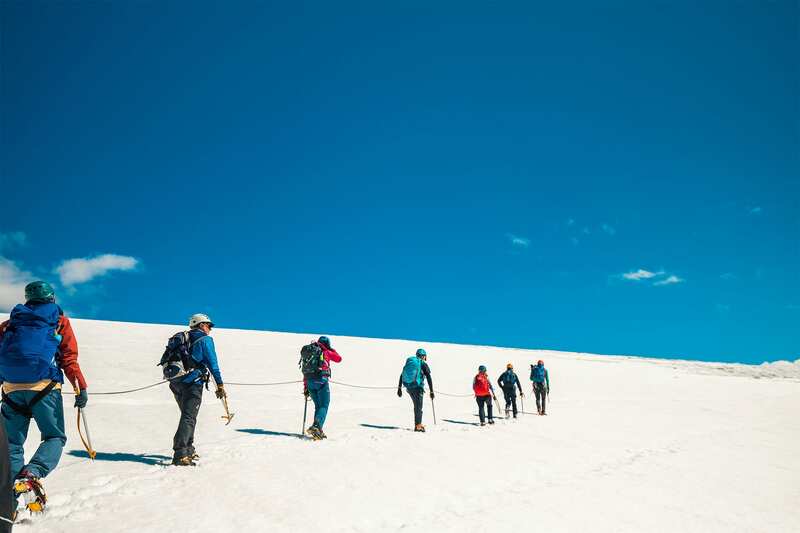 We will begin our hike on the glacier plateau within the Folgefonna National Park, enjoying spectacular views, walking roped in on a 350m thick blanket of ice! 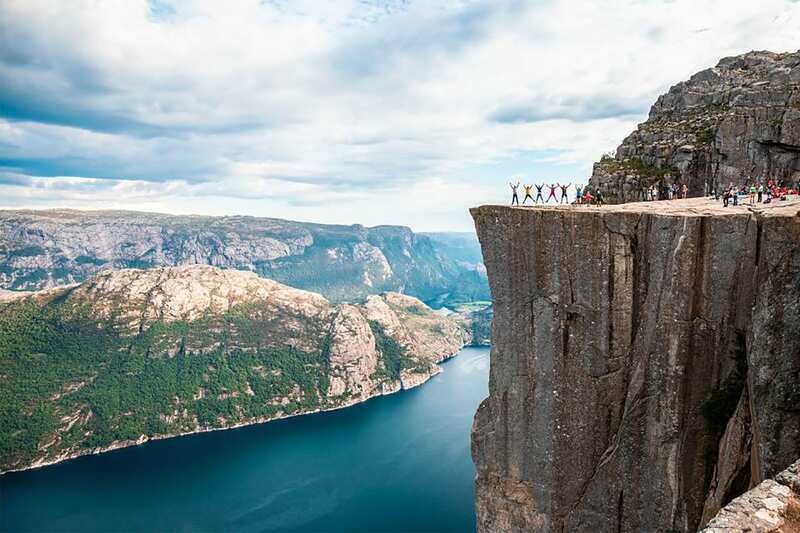 This morning we prepare to visit one of the most famous mountains in the world, Preikestolen. In order to avoid crowds that this world famous mountain attracts, we will hike in the late afternoon, enjoying the sunset and fewer crowds. At four hours round trip, this is an accessible and easy hike, drawing crowds the world over and attracting top rankings for this natural wonder and it's unmatched beauty! After breakfast, we bid farewell to our beautiful lodge and board the ferry into the mystical fjord landscape in Lysefjorden. While aboard the ferry, we will be able to see Preikestolen from a completely different perspective than the night before. Within two hours we arrive in Flørli. The village is a roadless hamlet by the fjord, surrounded by mountains rising over 1,000 meters into the sky. 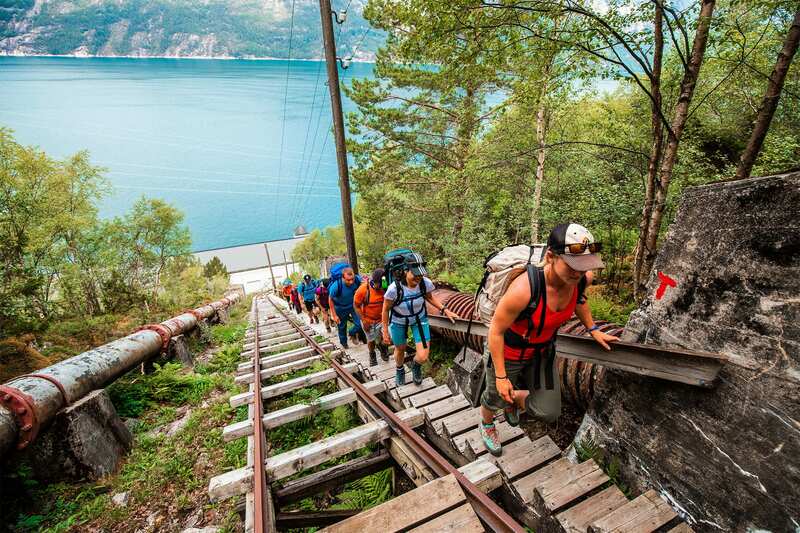 From Flørli we hike up the longest wooden stairway in the world – 4444 steps up from the fjord to the mountain. Today we have the chance to visit yet another well known destination, respected and visited by trekkers the world over. We will begin our day by taking a morning ferry to Lysebotn – the innermost part of Lysefjorden. From here we head for Mount Kjerag. 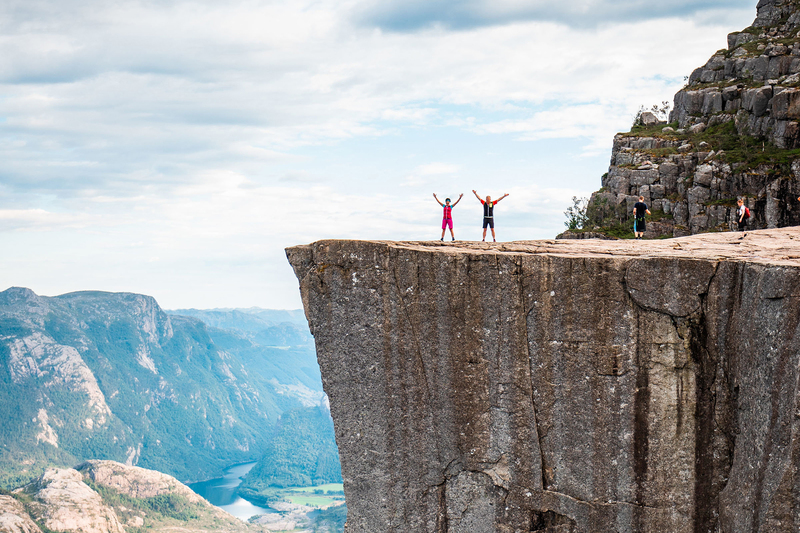 Situated 1,000 meters above the Lysefjord, Mount Kjerag is truly a sight to behold. Round trip, this excursion is about 6 hours. 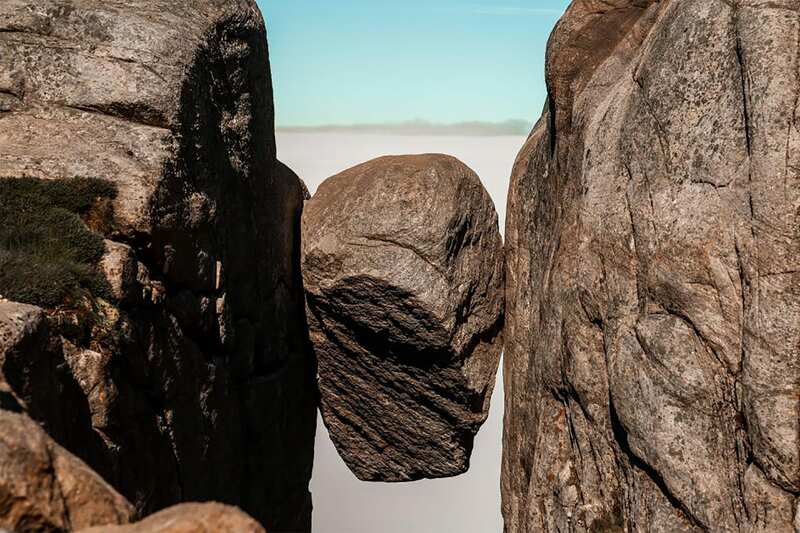 And, depending on the time of year, you may spot some daring base jumpers that often travel from all over the world for a once in a lifetime rush! Transportation to the meeting point in Oslo. We are happy to assist you with booking a hotel in Oslo and give you advice on what to do when you stay in our capital.